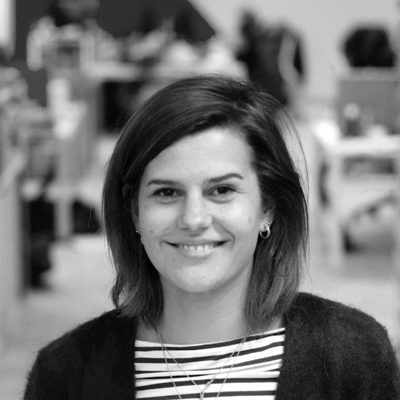 Elena's role at Nesta involves managing the delivery of evidence masterclasses and working with the Innovation Skills team to help build its learning and development. 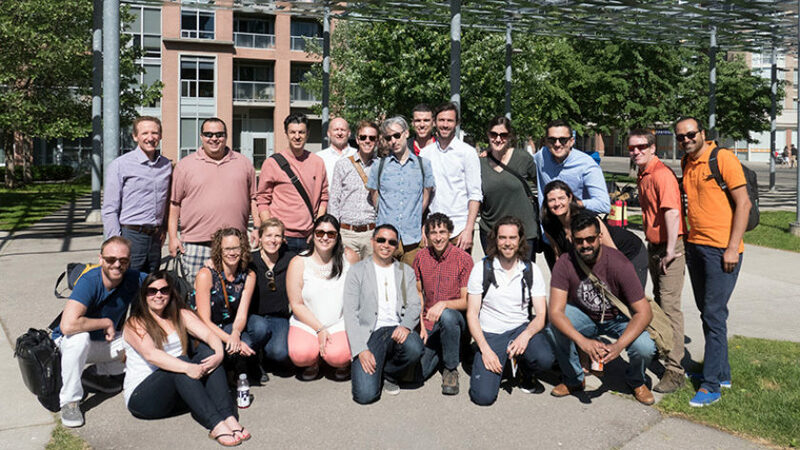 In May, we shared our reflections from the Scoping session of the nine-month States of Change learning programme that we are currently running with 18 Government of Canada Entrepreneurs (GCEs) in partnership with the Impact & Innovation Unit at the Privy Council. 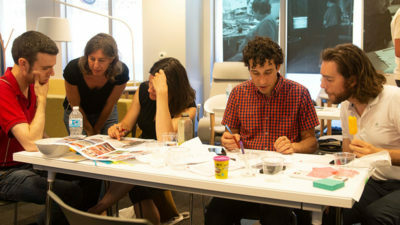 Since then we’ve moved onto the next phase of the programme to focus on ‘Explore’, one of three categories of experimentation, with the teams get hands-on using innovation approaches in their live projects. The Explore phase kicked off with a week of training, followed by remote mentoring, as the teams worked to open up the way that they perceive and think about their challenge. To structure this, they used our six principles of innovation: people, systems, facts, futures, problems and solutions. States of Change has been initiated by Nesta, but is a global collective brought to life by our faculty, our government and delivery partners and the wider community of practice. As a new and developing initiative, we are still in the process of determining what delivering a learning programme based on the experience of a global collective looks like in practice. The Explore training week provided an exciting test case for how this might work in our face-to-face training. Below, we share the ways that we experimented with this and a reflection on its implication for our States of Change chapter in Canada moving forwards. Whilst States of Change has a curriculum that is shared across our programmes, the content and approach of each one is still highly contextual and learner specific. Our government partners are our collaborators, and in Canada this has involved working closely with the Privy Council’s Impact and Innovation Unit (IIU). Together, we have shaped the narrative, focus and set-up with our learners, the Government of Canada Entrepreneurs. This has not only been about ensuring successful programme delivery that supports the learning journey of participants; it is also about collectively shaping and preparing the institutional reality of the Canadian government (which is part of the mandate of the IIU). We are aiming to both build the roles and capacity to support better problem-solving, while simultaneously experimenting with how to institutionalise these in order to embed new effective ways of working. This involves iterative planning meetings and calls, shared documents (thank you Google Drive) and close communication (#slack) to shape the programme to be as ambitious as it can be in building cross-government innovation capacity and growing a movement of public innovation practitioners. Our faculty play a key role in delivering our learning programmes. In Canada this has involved collboarately designing and delivering the training with faculty member Marco Steinberg. Drawing on his experience at Sitra, the Finnish Innovation Fund, Helsinki Design Lab and the Harvard Design School, he has led in supporting the cohort to strategically manage their portfolio of innovation projects, providing practical examples and insights that help bring the learning content to life. In practice, this has involved a lot of the typical activities around forming new teams - such as finding ways to work effectively as a dispersed team and balancing a variety of working styles. Most importantly, it has provided a testing ground for us to further develop our hypothesis behind States of Change - that innovation in government requires a shift in mindset and culture. In Canada, we’ve been collectively building a shared narrative around redesigning government and this has provided an incredible amount of value to this chapter of the programme. You can read Marco’s playback of the initiative here. Innovating involves managing the tensions between the fine detail, such as the personal implications of a problem for a citizen, and how this fits into the the holistic big picture view, and vice versa. We believe that immersing our learners in the leading work in the field will give them the best chance to bring it back to their home departments. 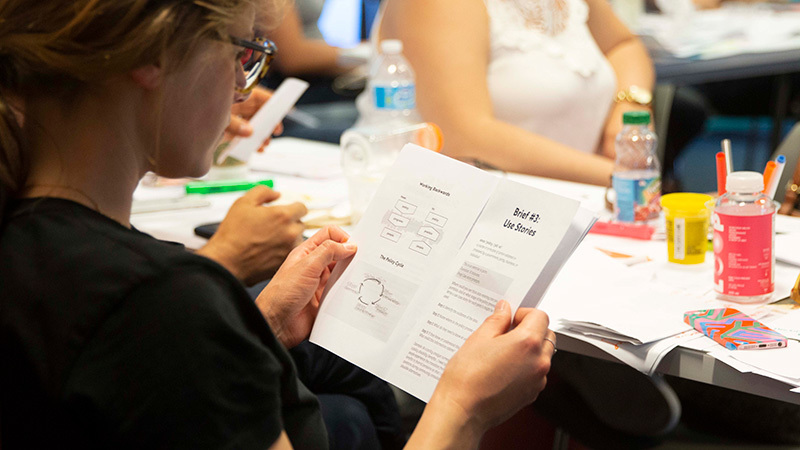 As well as supporting our cohorts to learn, the States of Change faculty contribute to the growing body of practical experiences and knowledge that exists within the public innovation community of practice. 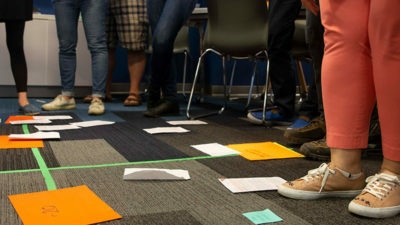 In the Explore week, this meant being able to draw on this practical experience when narrowing down on two of our key principles: people and systems. This involved taking our cohort to Toronto for two immersive days with global leaders on these topics. Day one was spent with InWithForward using ethnographic methods to gather ‘thick data’ and bring in people's experiences to the policy process (see the GCEs’ summary of this experience here). 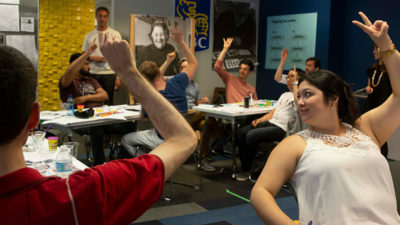 And day two was spent with Alex Ryan and Jerry Koh from MaRS Solutions Lab learning about systemic design and how this can support public sector projects (click here to see the teams in the workshop). Many innovation learning programmes focus on teaching innovation methods in isolation, without recognising the principles that underpin these methods, or the organisational environment that is required for these approaches to flourish. This is what we term ‘innovation craft’; the behaviours and cultures that enable innovation in government. In the Explore week, on top of bringing the craft expertise of our core faculty, we also ran a session with another faculty member and government practitioner, Thomas Kalil. Tom brought his experience of policy entrepreneurship in the White House and helped the cohort to explore what their Government of Canada Entrepreneur role could include and the political astuteness, or as he terms it the “goodwill reservoir”, required to make it happen. As the field of public innovation is still emerging and evolving, one of our goals with our learning programmes and broader R&D activities is to build and develop connections with the community of practice. This comes from our pedagogy that most learning happens beyond the classroom, through action and practical projects. In the Explore week in Canada, this involved creating spaces for our cohort of entrepreneurs to connect with a variety of innovation actors in their local ecosystems, including through an evening networking reception in Toronto and having practice sharing sessions with peers at Experimentation Works. This latest training week provided an effective test case of how the broader States of Change learning collective can support our learning programmes, and it has also brought up some questions and considerations that will shape the programme going forward. The first of these relates to the delivery of the training week itself. The change of delivery methods, messages and partners demonstrated the diversity of the field - a field that, for some of our learners who are newer to innovation craft, can be difficult to navigate. The Explore week and some of the feedback we’ve received since then has demonstrated to us the importance of an overall connecting narrative to draw this together and contextualise it for the groups. Secondly, as the cohort explore their projects and we move into providing remote support through mentoring, coaching and subject matter expertise, important questions have arisen about how we can retain a diversity of input for the cohort as they try to put what they’ve learned into practice. Innovation is not one single method, tool or approach. As we get closer to the problems and challenges of the cohort, it will be essential for us to continue to spot those opportunities for connection with our partners, faculty and even other cohorts of learners from our sister programmes. Finally, whilst the week has provided an important example of what the wider collective can look like for our learning cohorts, we’re appreciative of the fact that this is just one piece of the puzzle of what States of Change is aiming to do. The collective is just as much about growing the field of public innovation as it is connecting and building those that are already active members of it. We have started work in this space, sharing stories and examples through our newsletter, working collaboratively on R&D and organising peer-to-peer sharing events. Over the next few months we will continue to build on this momentum to bring the term ‘a global learning collective’ to life. If you have any ideas or want to be involved, please feel free to get in touch at hello@states-of-change.org. Next iteration of learning programme kicks off in Australia! The new cohort of eight public servant teams meet in Melbourne to begin their six-month learning journey. We look back at our nine-month journey working with the Government of Canada Entrepreneurs.